awesome casual look. Loving the fact that you added some sporty pieces. Love dressy, casual mixes, and this one is perfect. Flowerprints and stripes make a good combo. 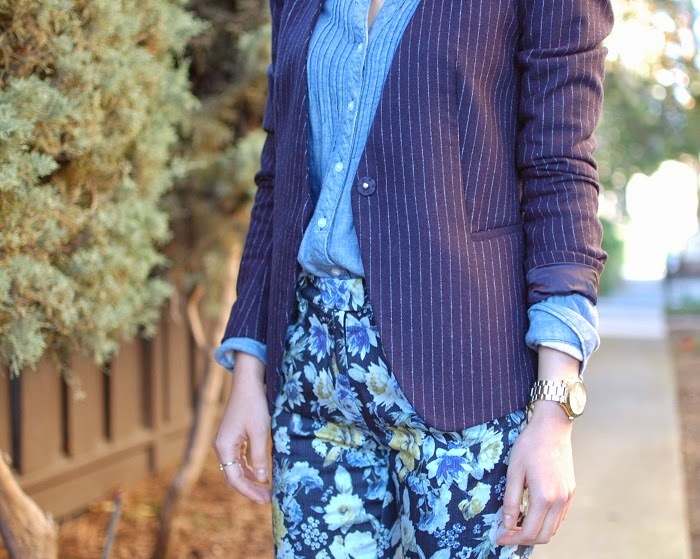 Such a cool look - love the clash between the floral and stripes! 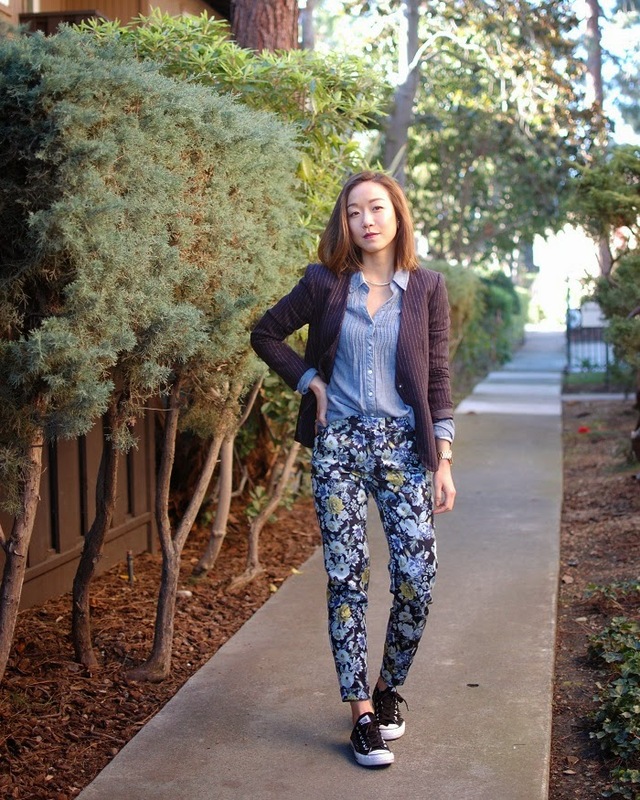 Love this look - navy is such a great color for mixed prints. You can mix smaller pops of vibrant colors with it without looking over the top when mixing prints.